here are the Information for qualified Players of the RPTQ on 02.Februar 2019 in Dortmund. Playoff matches, if necessary, will be best two of three. 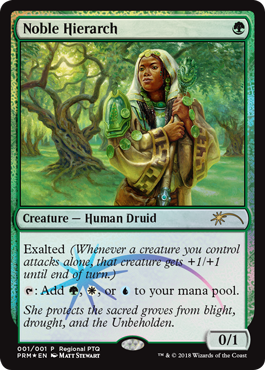 All participants in a Regional Por Tour Qualifier receive an exclusive Noble Hierarch promo card.